Further uncertainty in European financial markets has been prompted by reports that the European Commission is considering watering down proposals from 11 member states for a financial transaction tax – but any revisions may have to wait until September, following elections in Germany, according to sources close to the subject. The ‘Tobin Tax’ was originally intended as a Europe-wide tax that would apply to all 27 member states, set at 0.1% for shares and bonds. However, the measure failed to gain unanimous approval from EU members, prompting a core group of 11 countries – Germany, France, Italy, Spain, Austria, Portugal, Belgium, Estonia, Greece, Slovakia and Slovenia – to push ahead with the proposal. Thomson Reuters is reporting that EC officials are now considering reducing the levy to 0.01% – which would mean the tax is likely to generate far less revenue than the approximately €35 billion originally envisaged. 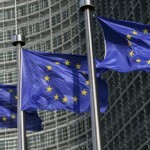 The European Commission refused to confirm to Banking Technology whether the tax will be scaled back to the level reported, stating that it is far too early to speculate as to the outcome of the final negotiations between the 11 countries that have signed up to the EC’s financial transaction tax proposal. However, a spokesperson for the Commission did admit that the proposal was unlikely to make its intended 1 January 2014 deadline. The original purpose of the tax was partly to act as a political tool as European leaders needed to be ‘seen to be doing something’ about the financial crisis; a tax on financial transactions was supported on the grounds that it would be a means of making the financial services industry pay a fair reparation for cost of the financial crisis it had helped to generate. However, the tax was thoroughly derided by financial market participants and major financial institutions such as asset managers, who argued that its cost would simply be passed on to the end consumer rather than paid by the large global banks – and that it might simply further depress lending and economic activity in an already strained economic environment. Even once a final decision has been reached, it will be up to the individual nation states to transpose the rules into their national law. The UK is not a member of the financial transaction tax, and has lobbied strongly against the proposals, on the grounds that they would be harmful to London’s prospects as a global financial centre. In April, the UK government lodged a formal complaint against the FTT at the EU Court of Justice – a complaint that was widely seen as an effort to derail the whole process. According to Healey, whose regular commentary can be found on the Tabb Forum site, the countries involved in the tax would have little say in how the funds are spent, and where – questions that have provoked further concern in the UK and the Netherlands. In addition, discrepancies among national governments remain and are unlikely to be resolved, with France interested in scaling back the tax on derivatives markets while controversially extending the levy to currency trades at the same time as Italy remains committed to excluding bonds from the tax. But since part of the original motive was to punish the banks for risky financial speculation, exempting derivatives from the tax would seem to undermine the entire scheme – especially since the executive committee of the EC estimated that the FTT could lead to 75% reduction in the volume of derivatives trading, she added. Other observers have highlighted the emerging divisions within Europe revealed by the arguments over the financial transaction tax. According to Tom White, research analyst at regulatory think tank JWG Group, the most likely outcome will be a splitting down of the tax across jurisdictions, assets and timelines – creating further uncertainty for financial institutions. With Germany’s political leaders publicly committed to a financial transaction tax in one form or another and an election looming in September, the final decision on Europe’s financial transaction tax looks likely to be held in waiting until Autumn at the earliest. The European Commission (EC) has pledged up to €400 million to the European Investment Fund’s (EIF) new fund-of-funds – for the money to be spent on start-ups in Europe, including in the fintech space. The EC will also look for three times more investment from institutional investors to make up to €1.6 billion available. GBST‘s Capital Markets and Six Financial Information have teamed up to enhance GBST´s solution for the Financial Transaction Tax that some European countries are introducing.